Split is a city located on eastern shores of the Adriatic Sea and the second largest city in Croatia. 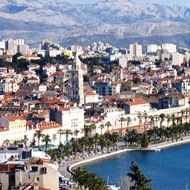 Also, Split is the largest city in Dalmatian region. In the area, Split is one of oldest cities and there is many researches relating that the city was found by the Greek colony in 6th century BC but the beginning of the city of Split are often connected to the construction of Diocletian's Palace. Old center of Split was included into the UNESCO list of World Heritage Sites and its one of the Croatian culture centers. With its hot and dry summers with mild and wet winters Split has a usual Mediterranean climate with more than 2.600 hours of sun yearly. As the most important transport center of Dalmatia, all along traffic routes flows through the city of Split so it's very easy to reach it from each part of Croatia. 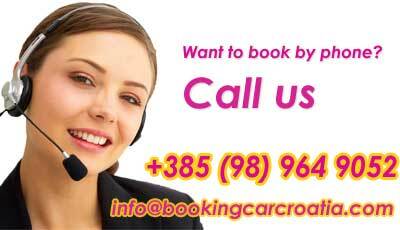 It also has an international airport located just 20 km from city centre.